It was put by Judge Vinson and I think it was put by Professor Barnett in terms of eating your vegetables and for reasons I set out in my testimony that would be a violation of the 5th and the 14th Amendment to force you to eat something. 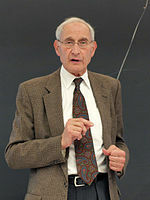 S. Unusually for a law professor without a graduate degree in philosophy he has publiCharles Friedd significant work in moral and political theory only indirectly related to the law; Right and Wrong for instance is an impressive general statement of a Kantian position in ethics with affinities with the work of Thomas Nagel John Rawls and Robert Nozick. Charles Fried (born April 15 1935) is an American jurist and lawyer. He served as United States Solicitor General under President Ronald Reagan from 1985 to 1989.